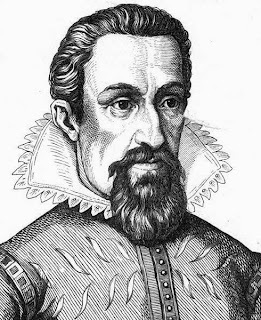 Johannes Kepler, a mathematician, astronomer and astrologer was born on December 27, 1571 at Wiel der Stadt, Wurtemberg, Germany. He is best known for his eponymous laws of planetary motion, codified by later astronomers, based on his works Astronomia nova, Harmonices Mundi, and Epitome of Copernican Astronomy. These works also provided one of the foundations for Isaac Newton's theory of universal gravitation. Students of astronomy still study his theory. His father was a mercenary soldier and his mother was a daughter of an innkeeper. When he was four year old, a bout of smallpox weakened his eyesight and affected his health. Despite such difficulties, young Johannes Kepler was a bright and intelligent boy. Kepler completed his early education in a local school and then at a nearby seminary for aspiring priesthood. He went on to enroll on a scholarship at the local University of Tubingen, the (as now) a bastion of Lutheran orthodoxy and in 1591, obtained master’s degree in theology. His favorite subjects were mathematics and science. During his study he was introduced to Copernicus’ theories. The way planets revolve round the Sun interested him. He now gave up his ambition of becoming a priest. In 1594, at the age of 23, he was appointed as lecturer of mathematics at Grates University. He then married a girl from a rich family. Things started looking up and it seemed he had found a definite direction in life. Kepler belonged to the Protestant faith. Communal disturbance and strife forced him to abandon Grates University in 1597. This great mathematician and scientist had a liking for theology. He linked all of life’s incidents with it. He believed that he had no faith in astrology. When Kepler left Grates University, it so happened that Denmark’s famous astronomer Tycho Brahe had settled in Prague after being banished from his country. Brahe was opposed to the Copernicus theories. He believed more in the Almighty’s universal principles. Brahe’s observations regarding the stars were aplenty. 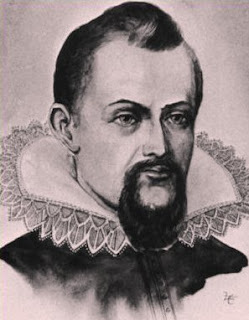 Kepler got an opportunity to work with Brahe. Brahe appointed Kepler as his assistant and torchbearer. 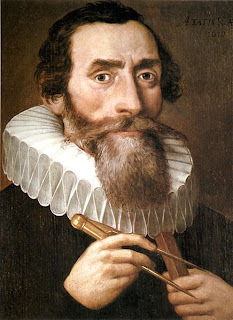 Kepler then firmly believed that the sun was the centre of the universe and not the earth. 1) The orbits of the planets are ellipse, with the Sun at one focus of the ellipse. 2) The line joining planet to the Sun sweeps out equal areas in equal times as the planet moves around the Sun. 3) The squares of the periods of any two planets are proportional to the cubes of their mean distance from the Sun. Kepler concluded further that the Sun has a major influence on the motion of planets. Some magnetic force worked between the Sun and the planets. After almost half a century, Isaac Newton propounded the Lows of Motion and Gravitation. Even today Kepler’s and Newton’s laws are considered path-breaking. He had made a deep study of human sight and telescope. This way he laid the foundations for the development of telescopes for the study of celestial bodies. Regarding Kepler’s novel discovery that planets move in elliptical orbits around the Sum, many feel it is incomplete. There is regular change in the planetary motions around the Sun. Through calculations he also concluded how much time celestial bodies take to complete one orbit around the Sun take less time in orbit. It can be said that Johannes Kepler’s discoveries would have contributed a great deal to the Laws of Gravitation propounded by Isaac Newton. 12 years before Isaac Newton was born, this great scientists died in 1630 of fever at Regensburg at the age of 60. "Harmonics mundi" - the word Mundi is a Sanskrit word for a bald head which in terms of planetary system would mean the globe. They only repackaged the knowledge of the Vedas for themselves.